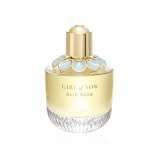 Girl of Now by Elie Saab is a Oriental Floral fragrance for women. This is a new fragrance. Girl of Now was launched in 2017. Top notes are mandarin orange, pear and pistachio middle notes are orange blossom, magnolia and almond base notes are patchouli, cashmeran, tonka bean and almond milk. 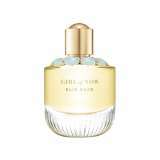 Girl of Now by Elie Saab is a Oriental Floral fragrance for women. This is a new fragrance. Girl of Now was launched in 2017. Top notes are mandarin orange pear and pistachio middle notes are orange blossom magnolia and almond; base notes are patchouli cashmeran tonka bean and almond milk. 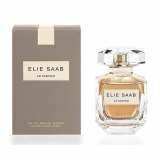 A floral fragrance for contemporary women. Clean, sweet, elegant, feminine & tempting. Top note of orange blossom. Heart notes of jasmine from Sambac & Grandiflorum. Base notes of cedar, patchouli, rose & honey. Launched in 2011. Perfect for all occasions. 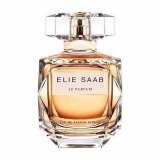 The perfume opens with a bright burst of Orange Blossom. The heart gives way to Ylang-ylang enhanced by the nearly narcotic sensuality of Rose Honey. In the base note, a Patchouli and Amber Accord full of bewitching, sensuous accents. 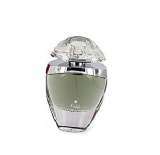 Le Perfume Intense is announced as ultra sensual and feminine. Its oriental-floral composition opens with bright orange blossom accord. The heart includes intoxicating and opulent flower of ylang-ylang mixed with rose honey. The base consists of patchouli and amber accord.